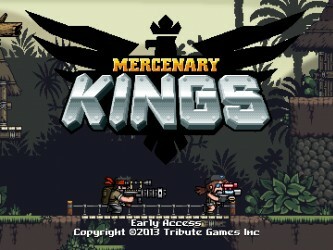 This article contains coverage of a preview build of Mercenary Kings. The opinions expressed below pertain to a piece of software in prerelease state (Version: r6762), and may deal with features which are in an incomplete or prototype form. 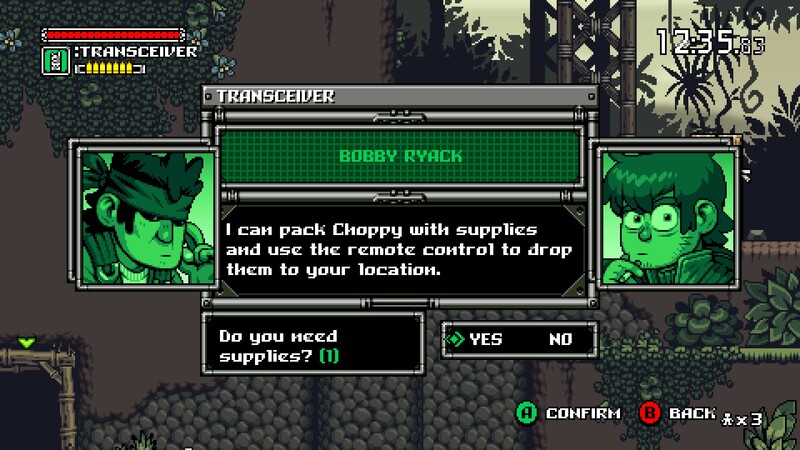 The coverage below is intended to provide a general impression of the game in its present state, and may or may not apply to the finished game. 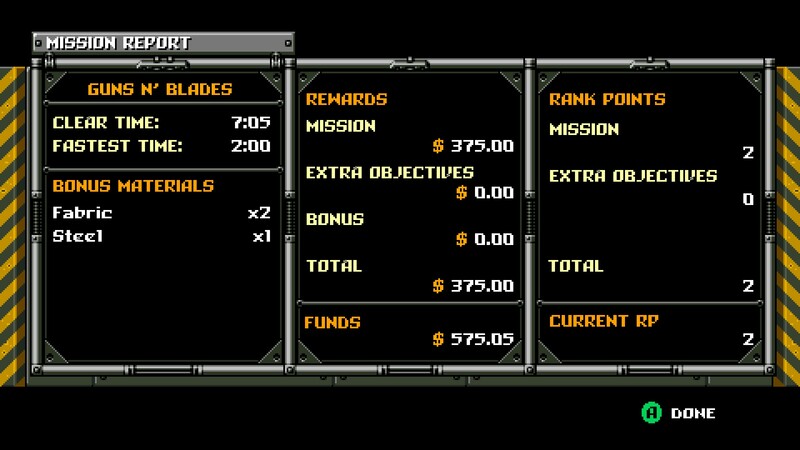 I’m biased, I’m a huge Tribute Games fan. Since first seeing Scott Pilgrim VS. The World: The Game, the art style and gameplay immediately strangled my brain cells into submission. At the time, I was completely oblivious as to why I was so enthralled with the game, outside of obviously digging the game. 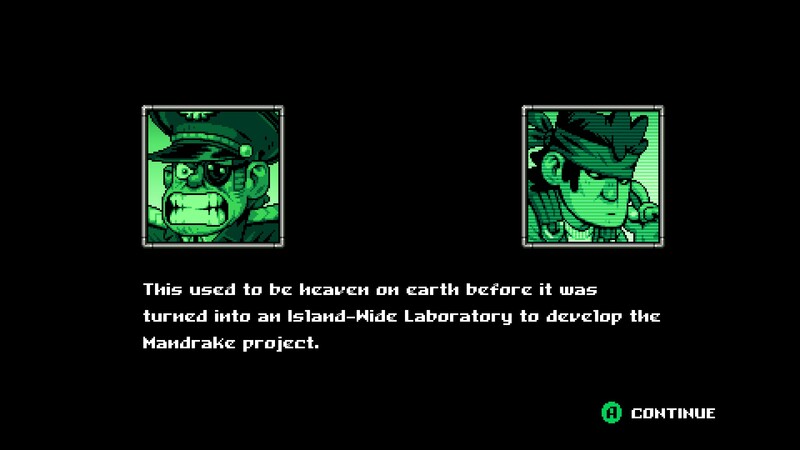 Only on a gut reaction did I decide on digging further to find out that the animator for Tribute games is none other than Paul Robertson. If you’re wondering who Paul Robertson is, (admittedly I honestly didn’t know the animator’s name initially as well BUT I did know his style) perhaps a very well known animation might ignite your memory. Now his work I’m very familiar with and I’d been waiting for his stuff to be in games since 2006. 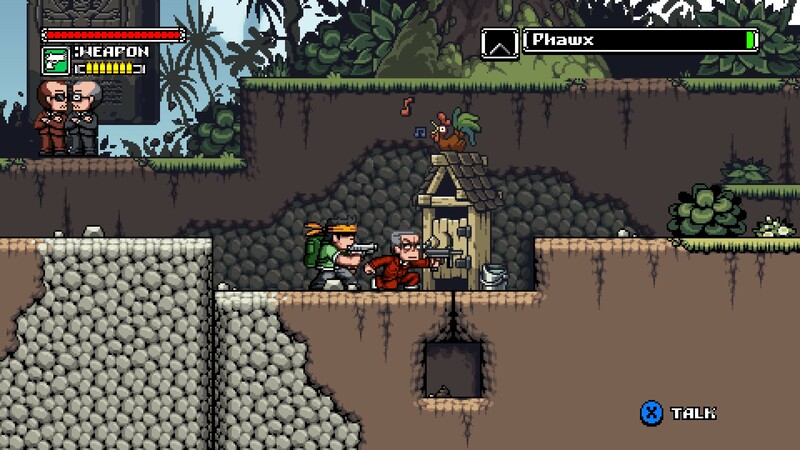 And even though I didn’t know Paul Robertson was working with Tribute games, the flavor of his pixel art communicated a certain affinity like an old friend. In a word, comforting or reassuring. 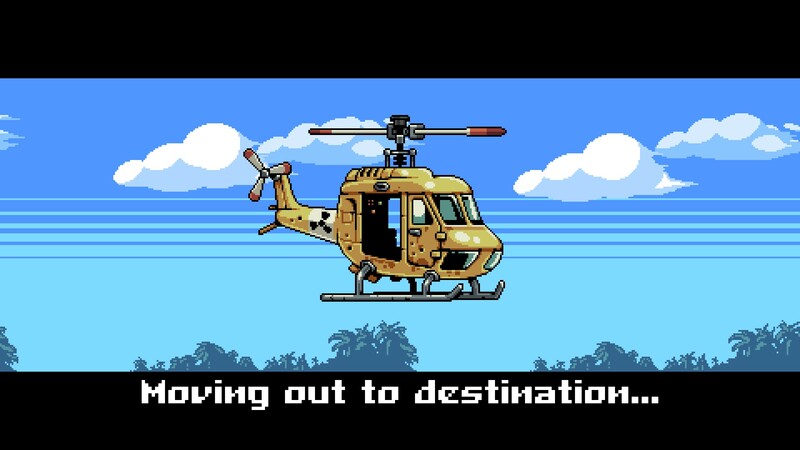 If you grew up playing Double Dragon, Renegade, Super Dodge Ball or River City Ransom, these are the old memories Tribute Games’ work dredges up. 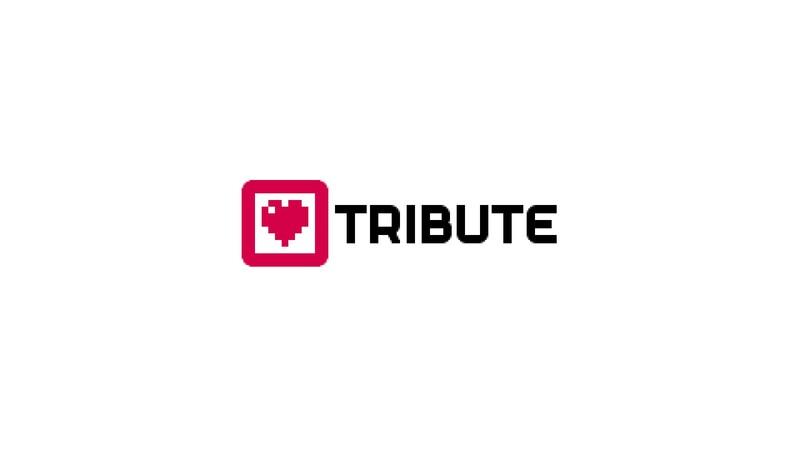 If you’ve played anything by the team at Tribute, you’ll know that they seem hellbent on bringing life to old classics but tweaking them a bit. SPVTW and Wizorb are prime examples of this formula in action. 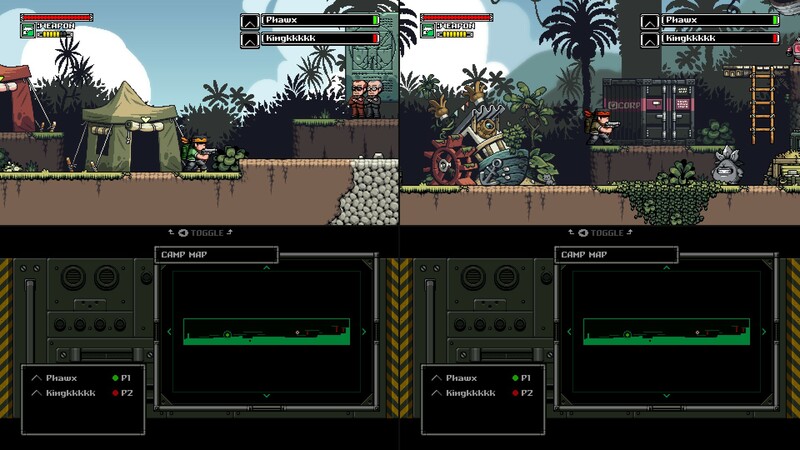 Mercenary Kings continues this trend with Contra+RPG. 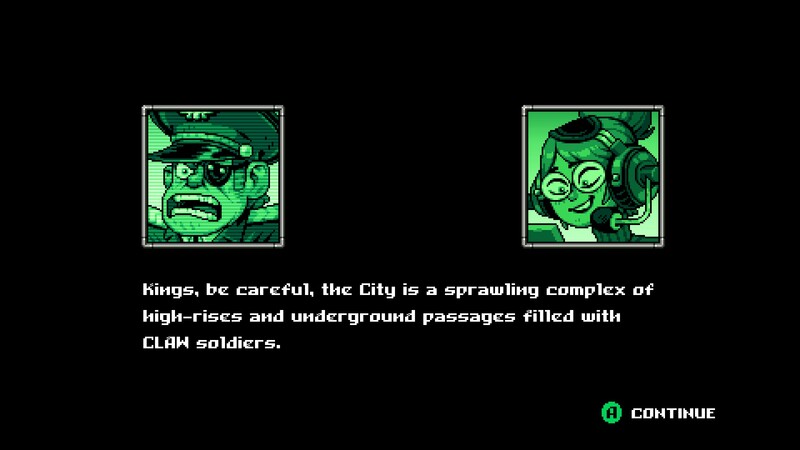 Originally I was going to say it was a Metal Slug mash-up, but Metal Slug’s name comes from the tanks you control in the game. 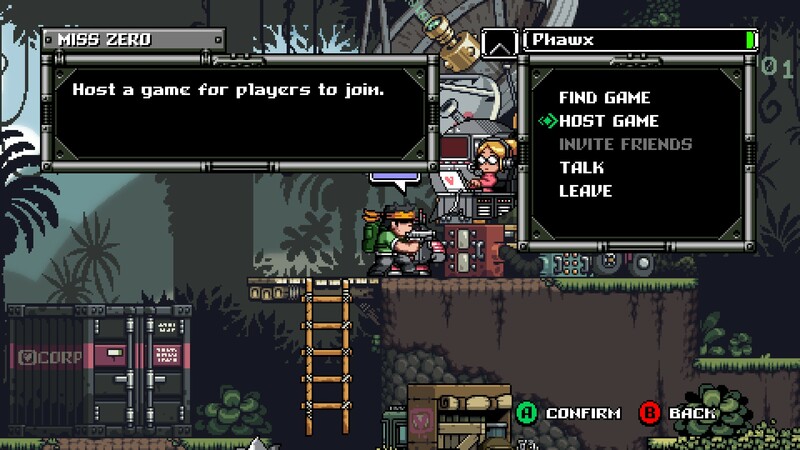 There are some other mechanics from other games that show up in Mercenary Kings, most notably the active reload mini-game first introduced in the Gears of War franchise. 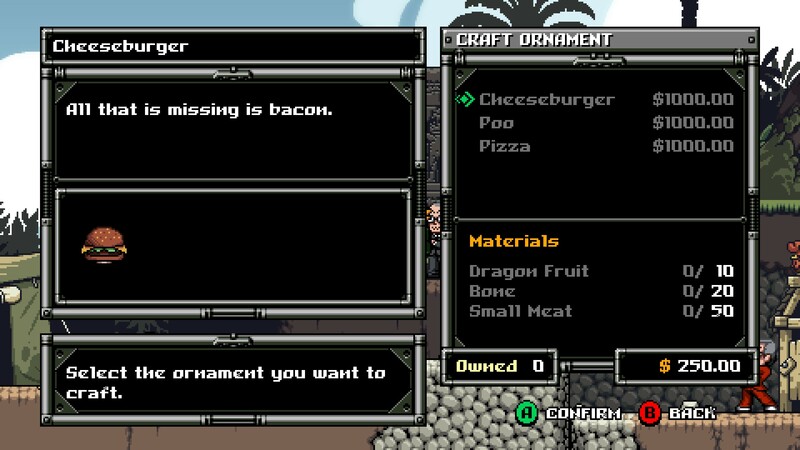 But there are also some homages paid from other games as well. 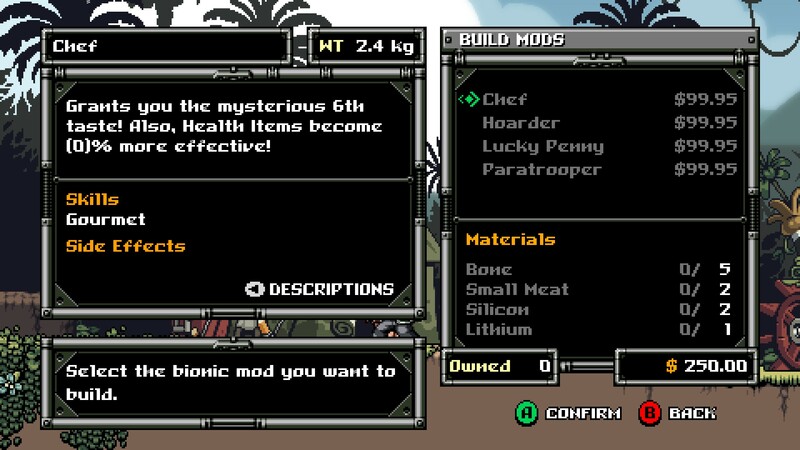 The RPG trimmings are interesting because they are linked to random drops from enemies which consist of parts. Parts consist of lead, aluminum, brass, etc with which you need a minimum amount of to create an upgrade at a specific shop. 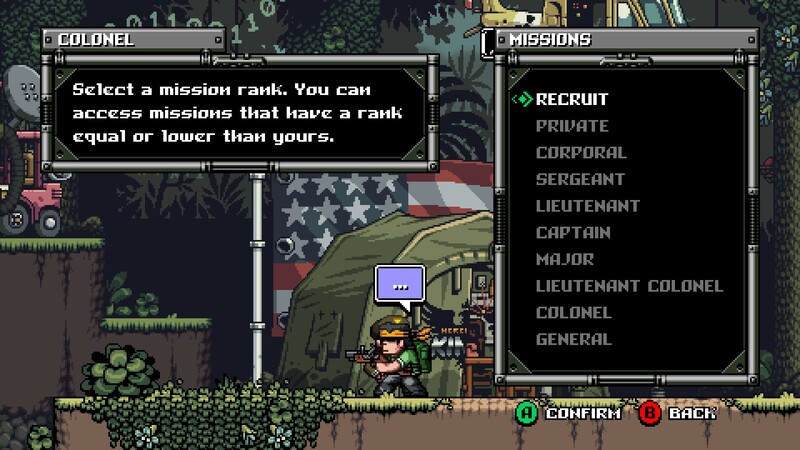 Early on in the recruit levels, you will slowly unlock new shops as you rescue different people. Eventually, you’ll have a gun shop, knife shop and a mod shop. 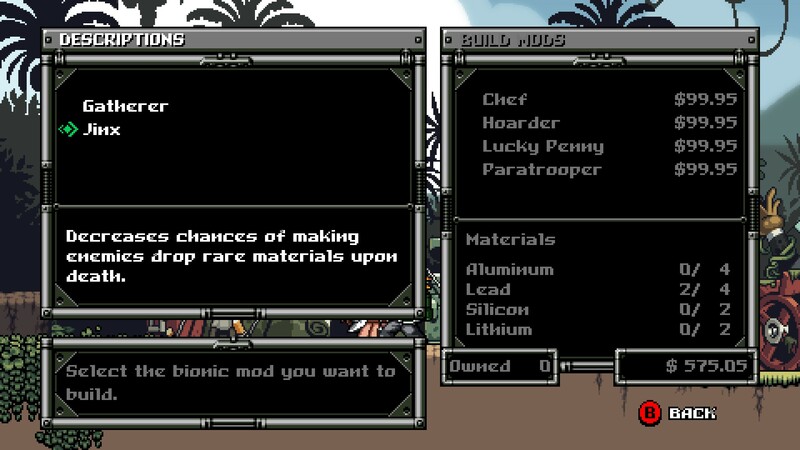 The mod shop offers different mods you can apply to your character, that can offer both positive and negative bonii, such as 100% success rate of drops on killed enemies but 0% chance to get rare drops. As far as I’ve seen there are three types of drops: common, uncommon, and rare. Naturally, rare drops offer a chance at unlocking uber gear, but you have to collect a certain amount of a part before reaching the criteria. 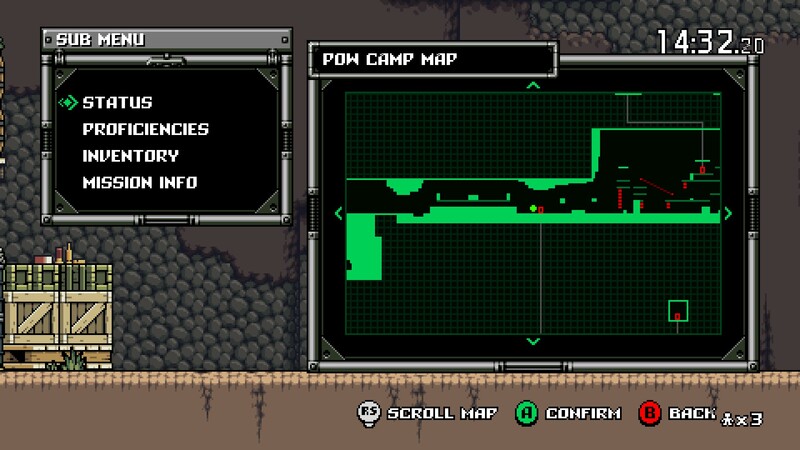 The level to which one could take the upgrades is pretty insane as well. Ammo for instance has a few modifiers. You can have electrical damage, ice damage, fire damage, acid damage, burst shot and single shot. 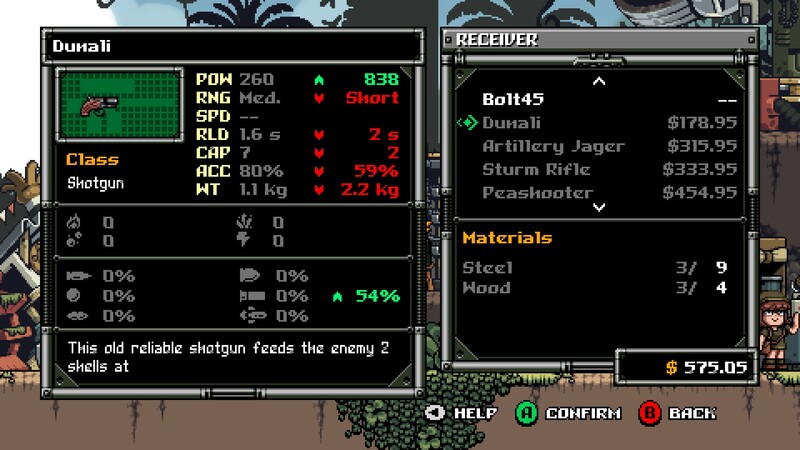 All of these have different modifiers and how they affect your enemies, so you’ll need to carefully choose which ammo is best for the job. Thankfully, you can save up to 15 different loadouts to quickly swap between without having to manually change things up everytime. Local multiplayer. Hopefully this concept never dies. But you also have the option of doing online multiplayer. Online multi. Practically in every game now. Even single player games. 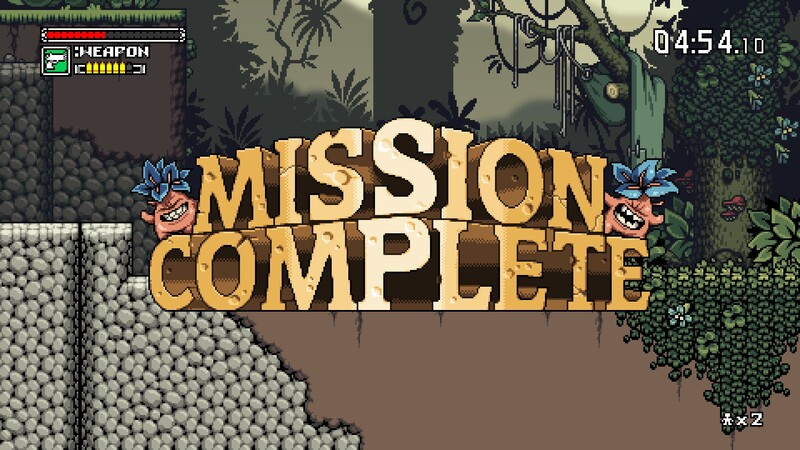 TL;DR: Mercenary Kings honestly feels mostly complete even though it’s still being worked and with new builds coming very often. Interesting mechanics like deflecting bullets with your knife, accuracy (for a 2D shooter) affecting damage done, weight from picking up items affecting your speed and active reload all come together to benefit core gamers while still being accessible to anybody. The play-style combined with the burgeoning amount of upgrade paths and options littering your brain with possibilities still manages to fall into the trap of a grind-y game. 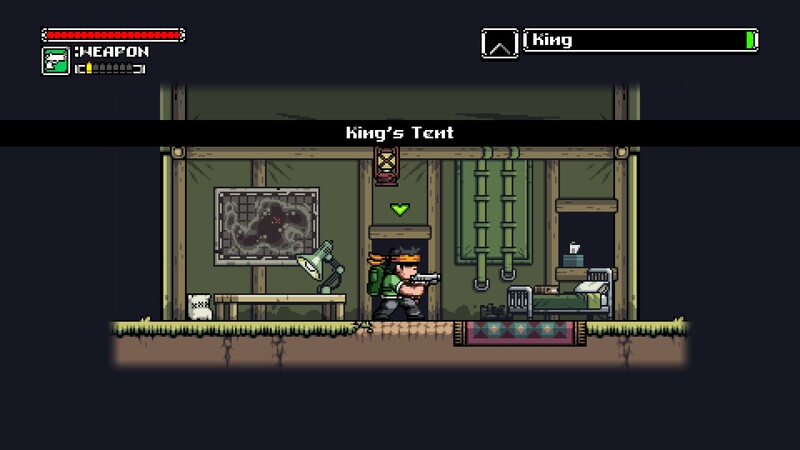 Mercenary Kings will quickly way heavy on those who enjoy single player affairs. 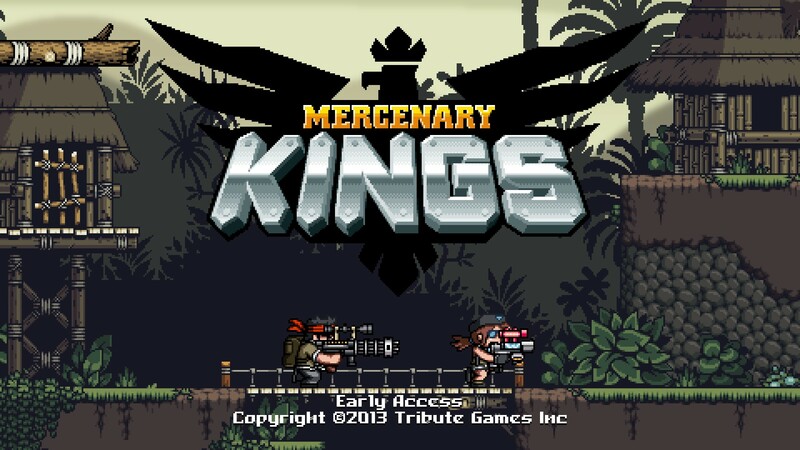 However, if you often play with friends, Mercenary Kings will easily be up your alley. As far as I’m concerned you shouldn’t be allowed to buy only one copy of the game. This is a 4-pack type of game. 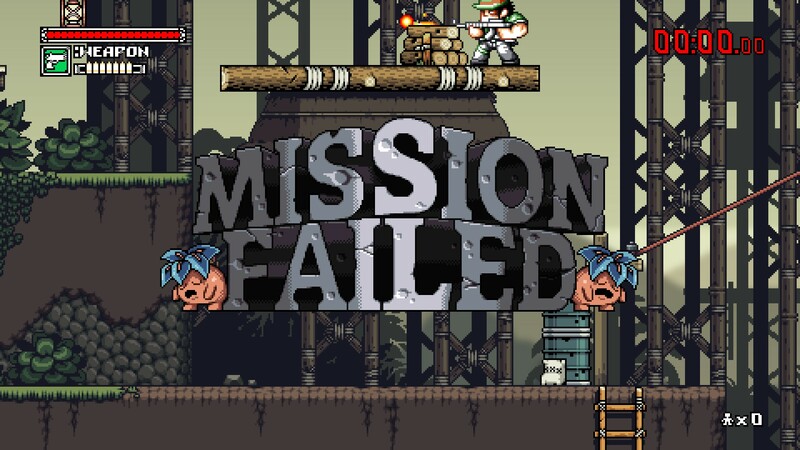 Unless, of course, you plan on playing local multiplayer, then buy a single copy.